Three years since I started this blog. I owed about $42k to Sallie Mae. Now I’m down to $19,310.04. 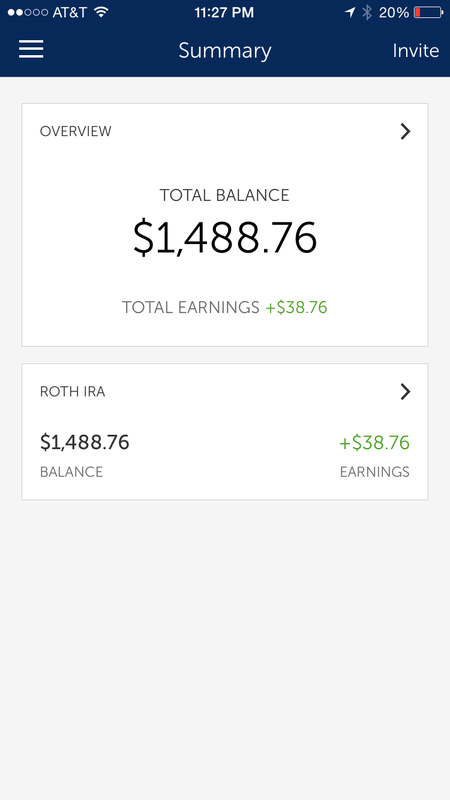 Continuing to invest $75/wk in Betterment for my Roth IRA. That’s more than my car payment. I really want to move to $100/wk but just not comfortable enough with that yet. 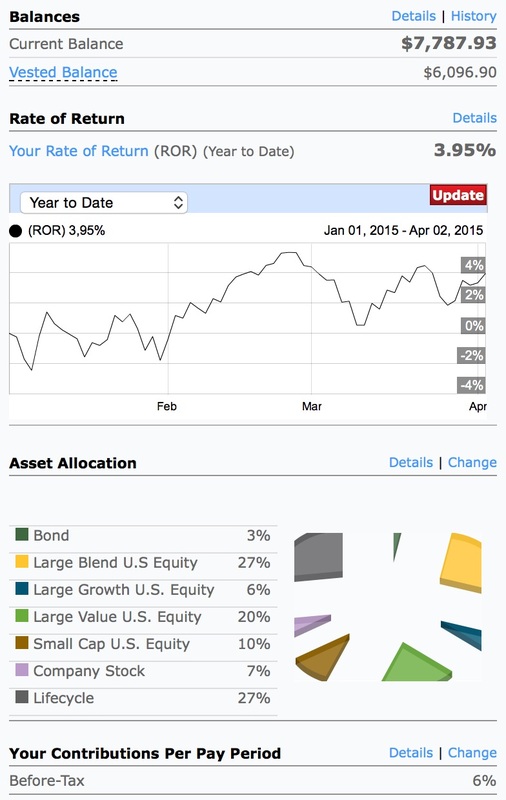 My Rate of Return on 401k is 8.64%, this is where the bulk of my money retirement is. I contribute the max of 6% of my income, the company matches 3%. My student loan is at 4.25%, so I feel pretty good about not diverting money away from retirement to get closer to debt freedom. The same about my car payment. It’s 0%, so paying it off early makes no sense when I can get a positive return on my investment and stay ahead of inflation.I was looking at some late model Mercedes AMG models earlier. A 2006 model went for $114k, today you can buy one for $23k and less than 60k miles. That’s for a 493hp V8. 15mpg city, 22 hwy. In 10 model years the car lost 80% of it’s value not to mention the high cost of maintenance. I thought about the winters in New York and my old car. It was starting to show some rust near the rear suspension. I blame the salted roads up north. Some people with the car generation before mine reported the floor boards rusted out. This is in 2002-2006 Altimas, haven’t read anything about the 2007-2012 models but still. My exhaust system basically rusted out before it was replaced due to another service bulletin. Cars up north and near the ocean rust a lot faster. Last but not least, it was recently the last air date of the Suze Orman Show. I’ve watched this show since the days I was in college. I may not have followed all her advice but it certainly helped my get inspired about getting my financial situation under control. I will miss seeing the episodes streaming every Sunday and hearing people’s stories. Dave Ramsey show is good but doesn’t resonate with me as much as a non-evangelical Christian and a gay man. I owe a lot to my mom and Suze for helping me stay on track.